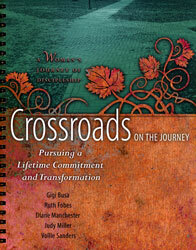 A Woman's Journey of Discipleship is one of the greatest journeys you'll ever take. This second book of the series, Crossroads on the Journey, invites you to take the next steps on your own journey. As you walk with Jesus, you will have the opportunity to take new steps of faith that will equip you for everyday life decisions. You'll learn about what makes a true disciple of Jesus, how to develop lifelong convictions, how spiritual transformation works, how to discover your spiritual gifts, the role of the Holy Spirit in your spiritual growth, and how to pass God's love on to others. 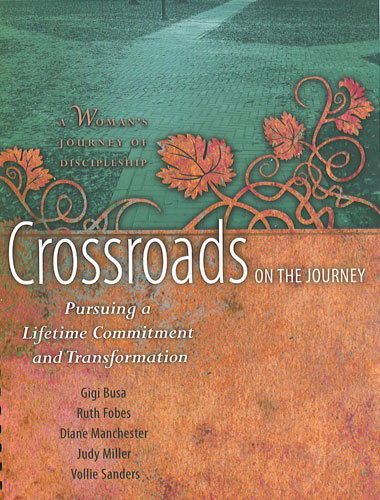 A Woman's Journey of Discipleship will take you deep into a relationship with Christ. Throughout this journey, you'll be introduced to basic spiritual disciplines, learn to walk with Christ daily, make decisions using Scripture, and discover the value of discipling other women to walk the same journey. Women's hearts everywhere will be ignited to follow Jesus Christ and in turn disciple others, leaving a legacy of spiritual generations.